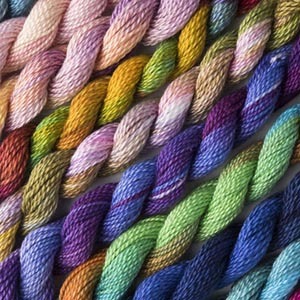 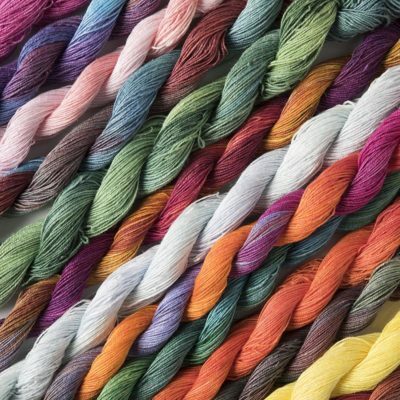 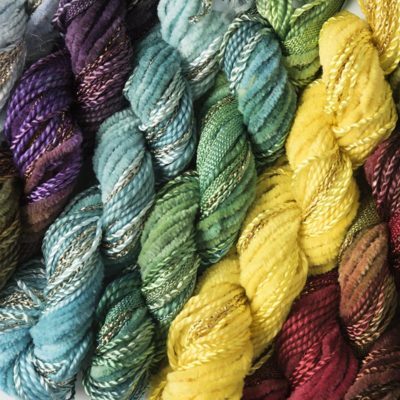 We offer a unique range of hand dyed yarns in cotton, rayon, linen, and silk in a range of multi-colours personally dyed by Stef and Anna. 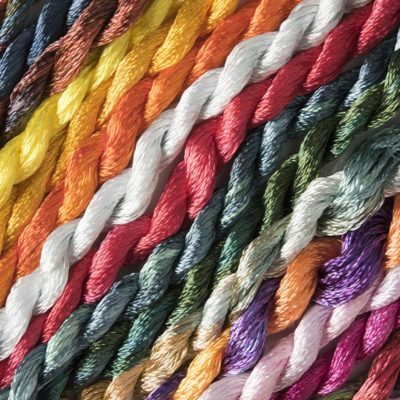 We supply threads useful for creative embroidery, quilting and general stitching. 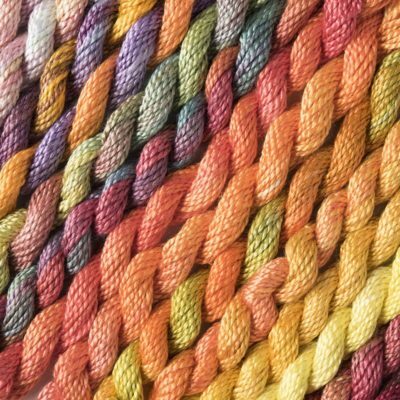 Although we try to reproduce colours from one dye batch to the next, it is a good idea to try and purchase all your requirements for a project in one go as dye batches will vary.